Details on how to win an ebook copy of this book at the end of the review a link to purchase it. Meet twenty-eight-year-old Lucas Landry. He is a native Californian who is a psychologist dealing with drug abuse treatment patients. He was unable to help his recently deceased father beat his drug demons and now he is discovering that the man had many secrets. As Lucas goes thru his father's house, he discovers a cache of letters and diaries that go back to people and events in Nazi Germany and what was once Sudetenland next to Poland. As he delves into the diaries he learns from his estranged brother that they have two aunts that their father never told him about. Lucas meets and gets to know the aunts, and starts to discover a secret that will rock his White Supremacist brother's world. Lucas learns that some of the diaries and letters were written by ten-year-old Christa Nagel, a German living within the borders of Sudetenland during World War II. The others were written by fifteen-year-old Ilse Seidel who lived in a small Bavarian town. Lucas is determined to discover how the two girls came to have their diaries in his family's possession. Both girls were familiar with bombs, starvation rations, and the destruction that World War II was doing all around them. With the help of his new aunts and the diaries, Lucas is able to backtrack his ancestry and discover the many secrets his father never talked about or maybe never knew about. How were the two girls connected to his family and how did they get there? An intriguing tale that bounces back and forth from Lucas and each of the girls in the narrative. The characters were totally fleshed out and engrossing. The mystery surrounding the letters and diaries was well thought out and proved to hold my attention thru out the book. A mystery comprised of modern day and historical elements made this a great read for me. It is the first in a new series, "A Tangled Roots Historical Mystery." I am looking forward to reading more in this series. 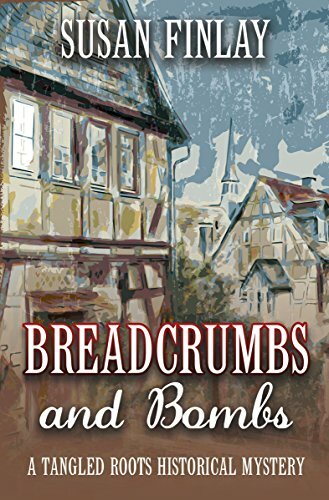 To enter to win an ebook copy of Breadcrumbs and Bombs, simply email KRL at krlcontests@gmail[dot]com by replacing the [dot] with a period, and with the subject line "bombs,” or comment on this article. A winner will be chosen November 10, 2018. U.S. residents only. If entering via comment please include your email address. You can read our privacy statement here if you like. 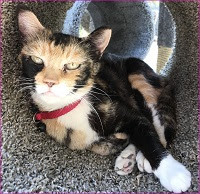 Check out other mystery articles, reviews, book giveaways & mystery short stories in our mystery section in Kings River Life and in our mystery category here on KRL News & Reviews. And join our mystery Facebook group to keep up with everything mystery we post, and have a chance at some extra giveaways. And check out our new mystery podcast!